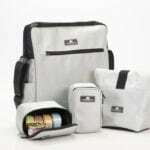 The Adventure Medical Kit Mountain Series is a must have item for the backcountry and remote travel. 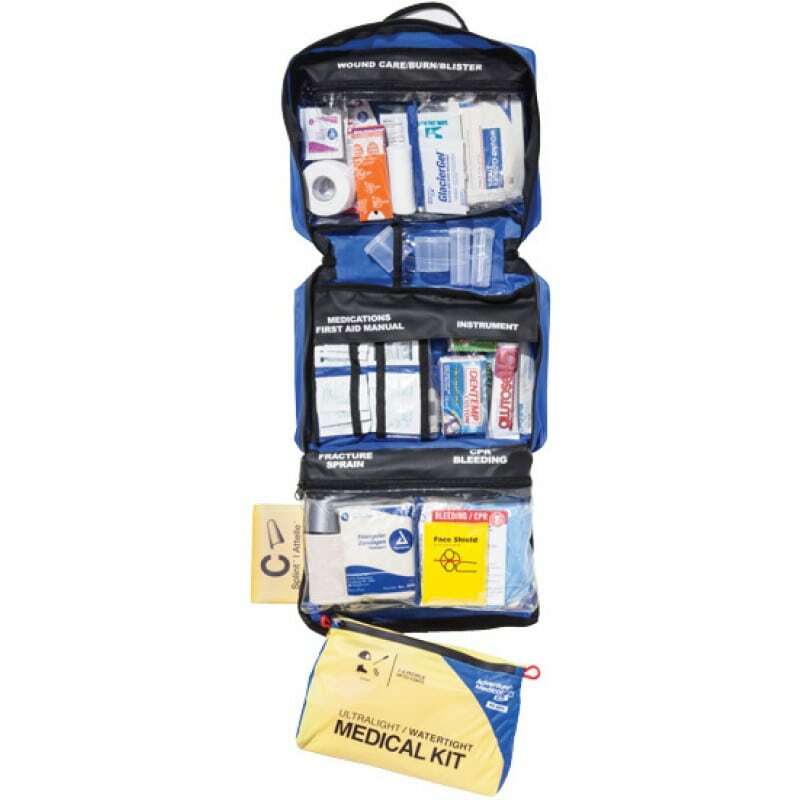 The Comprehensive Kit, as the name implies, includes a wealth of first aid and handy instructions to help you out if you get into trouble. It’s appropriate for folks with little to no medical training, offering support until you can get professional care. 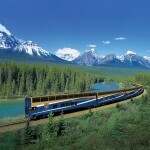 Four sizes are offered in the The Mountain series, the Comprehensive being the largest. This kit has everything you would expect in a first aid bag, and then some. 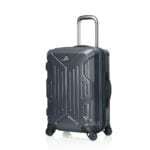 Contents are listed on the back of the carry case under categories for quick and easy reference. When you open the bag, you have four compartments chock full of emergency medical supplies. The sections are divided with clear plastic so that you can see everything at a glance and easily find what you are looking for. Each compartment is made with heavy duty quality material and they zip, so you don’t have to worry about stuff falling out or getting dirty. Each compartment focuses on specific injuries like Fracture & Sprains, CPR, Medications, Burn, Blister & Wound care, and Bleeding. You’ve got your basic staples like aspirin and allergy relief, and more serious items like a scalpel and splint. I love that they give you empty containers to put your own medications in. 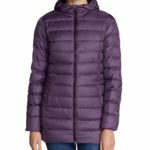 If you are going into the back country, it is a good idea to ask your doctor for prescription pain relief–the heavy duty stuff, so that if someone gets really hurt, you can manage the pain until that person can get professional care. You can also ask your doctor for other prescriptions appropriate to your needs, and pack them in with the kit. 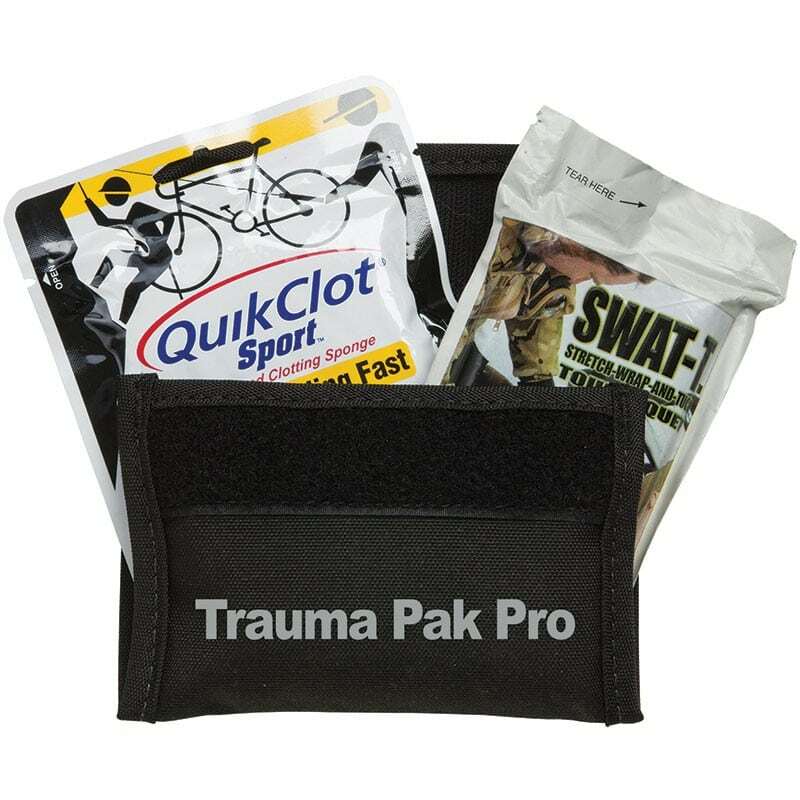 I recommend supplementing this kit with the Adventure Medical Kit Trauma Pack Pro with QuickClot & Swat-T. This will help you to control heavy bleeding with a non-chemical QuickClot clotting sponge and the Swat-T Tourniquet. This is made specifically for people with no medical training and is potentially life saving. Adventure Medical Kits has several items you might want to supplement your kit with, so have a look at what they offer, particularly if you choose one of the smaller versions. I love that this kit includes things I’ve never seen in a first aid kit, like duct tape and waterproof matches. Another cool feature is the included extra waterproof bag so that you can pick and choose essentials from the big kit, and take a few items with you in your daypack, while keeping the rest at your base camp. It’s a very well thought out kit. Probably one of the most important things in the bag are the instructions. There are separate sheets with instructions for different items, and a little book called Wilderness & Travel Medicine by Dr. Weiss. When you’re in the middle of nowhere and you are not sure what to do, this book is worth its weight in gold. 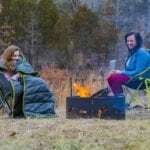 This is an awesome kit for camping, mountaineering, remote travel and emergency preparedness at home. 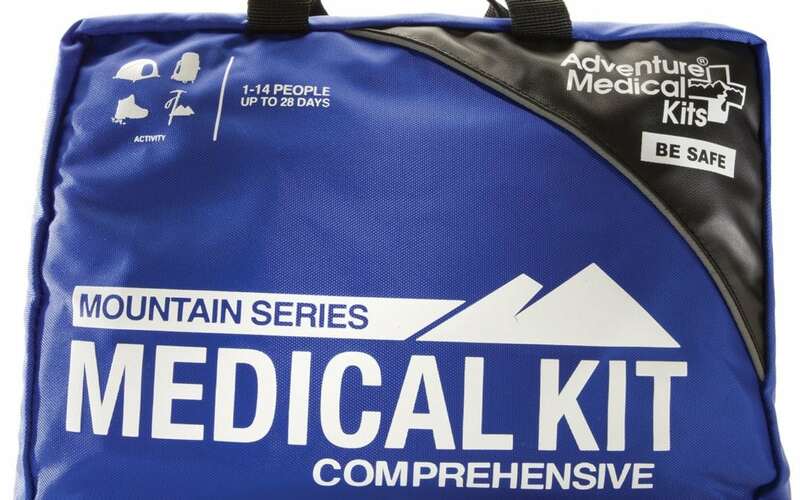 Find the Adventure Medical Kits Mountain Series Comprehensive HERE.